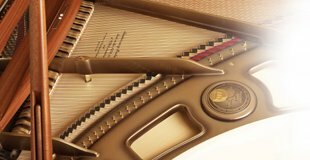 The loving work of five generations of the Petrof family has brought pleasure to musicians and composers and captured the hearts of thousands of other music lovers. PETROF instruments are able to at least partly calm the course of these bustling times. Prizes, accolades, medals, and titles all testify to the public recognition of the qualities possessed by these instruments. World-renowned opera singer Peter Dvorskalso owns a PETROF grand piano. PETROF grand pianos have accompanied Placido Domingo, Jose Carreras, Luciano Pavarotti, Eva Urbanov and many others at their concerts in Prague.